I love writing the ‘E’ in the Maine state abbreviation. 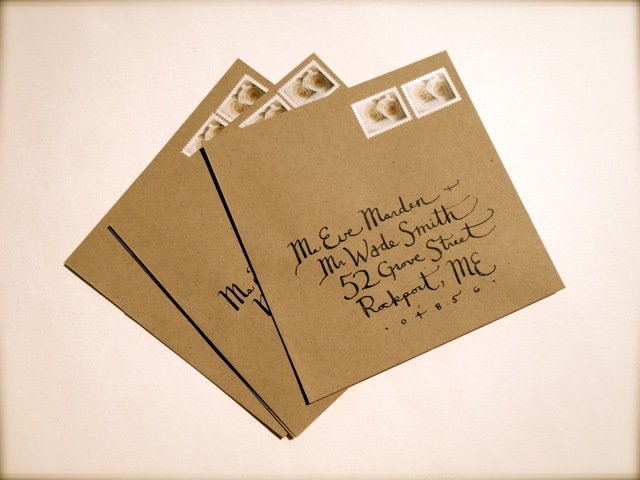 Jessica Stammen loves to address envelopes. She will gladly write any state abbreviations even if it doesn’t include an ‘E’. 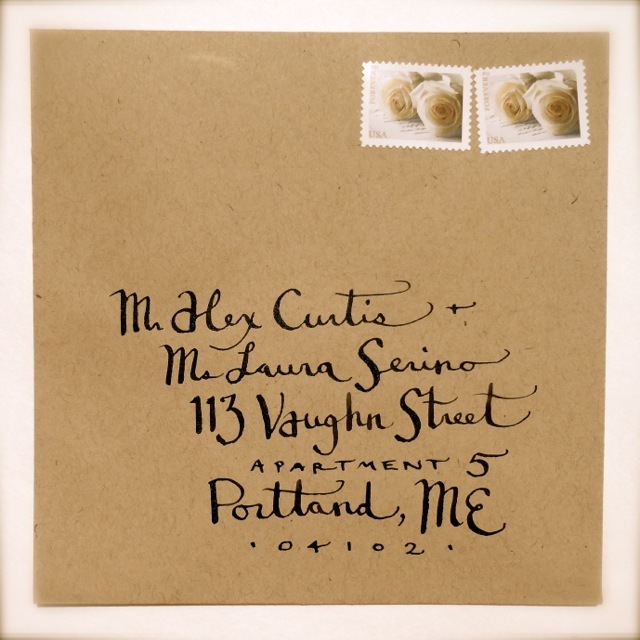 Contact her for quotes on hand lettered wedding and event invitations, envelopes, labels, menus or signage.